If you are thinking about buying a new or used automobile, you may be looking at online auto loan calculator to determine what you can afford to pay. These types of loans will help you calculate your auto loan payments based on the amount of loan and estimated APR you think you can get on your interest rate, giving you a general idea as to how much car you can afford. But, you may have many questions about basing a loan using these types of systems. Here is some information you will need to know. Can You Trust an Online Auto Loan Calculator? Yes and no. An online auto loan calculator is a great way to determine approximately how much car you can afford. If a car is $10,000 and you think you can get approved at 5.9 percent APR, the auto loan calculator will tell you what your payment will be if you take the loan out for three years, four years or five years. However, in reality, your car may be slightly lower or higher than the numbers you ran, you may get a higher or lower APR, your payments may not last a full three or five years or you may not include taxes, fees and licensing into your calculations. As you may learn in traffic school or a defensive driving course, they are a great tool but they are not perfect. What Factors Cause the Online Auto Loan Calculator to Vary? As was mentioned above, there are many factors that can cause the online auto loan to vary. The largest is that there is no way to determine how much money you will need to pay for taxes, fees and licensing. As such, there is no way to include this information. This can be a couple of thousands of dollars, depending on the state you live in, and is typically rolled up into your payments. This can drastically affect your monthly payment and the interest you pay. Another factor is your down payment. You may not include your down payment into the equation when doing one of these calculators. However, it should be. It affects how much you will have to pay over the life of the loan and the interest rate. Lastly, the features you are guessing on cause the auto loan calculator to vary. When you are using this tool, you often put in whole numbers. You may put in $20,000 for a car, but in actuality, the car may be $21,999 or $18,599. These factors can cause the amount you are shown on the calculator to vary. How Much Do Payments Usually Change in Reality? 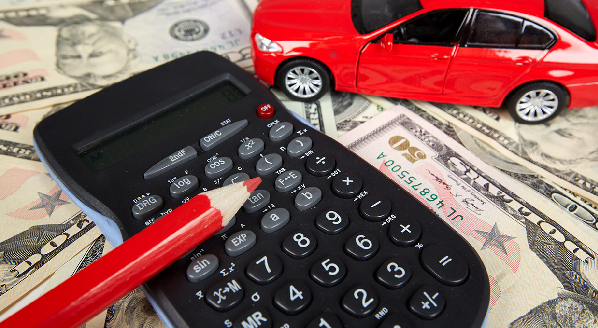 Payment calculators are great at giving you an estimated amount that you will pay for a car. But they don’t give you an exact amount. The exact amount can vary heavily if you over or underestimate the amount of interest you are paying on a car or the amount the car will cost. However, if your numbers are relatively close, you can expect that the payment will be within $100 of the amount you are quoted on the screen. If your estimates are extremely off, your payment can vary more than this. Talk with a dealer to get an exact number if money is your primary concern. If you are looking to obtain an auto loan, you may play around with an online auto loan calculator to get an idea as to how much car you can afford. However, these calculators should be taken with a grain of salt. They can give you a rough estimate as to how much you can expect to pay, but they can’t give you an exact amount. There are too many variables that can change and affect your exact monthly price.